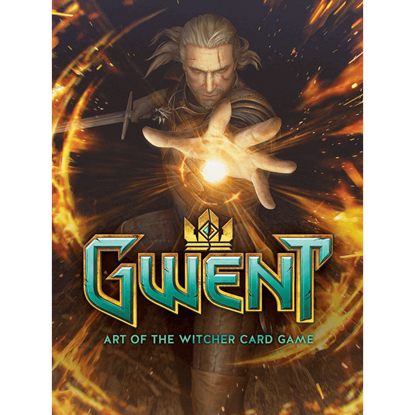 Inspired by a series of Polish fantasy novels, the Witcher is now a game series featuring protagonist Geralt of Rivia, a witcher by trade who was genetically mutated at a young age giving him supernatural abilities best suited to monster hunting in this medieval fantasy world. Winning 2015 Game of the Year, the latest installment in the series, the Witcher 3 Wild Hunt, has achieved both critical acclaim and popularity. 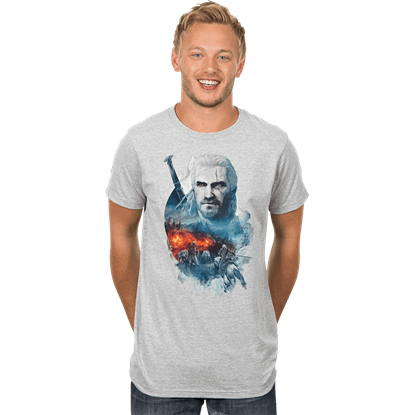 Superheroes Direct is proud to offer fans of this series Witcher 3 apparel, including t-shirts and more depicting Geralt, monsters, and other villains from the game. The School of the Wolf motif decorates much of our collectibles, including t-shirts, hoodies, and keychains, while we also carry the Wolf medallion worn by hero Geralt himself. 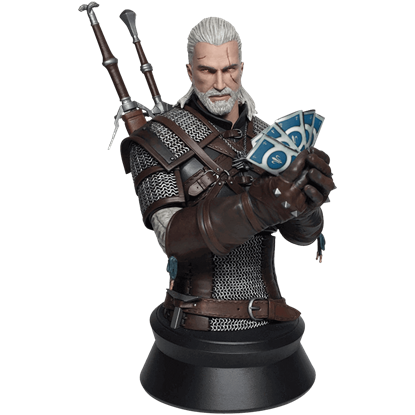 Be sure to keep checking back at Superheroes Direct for updates to our available Witcher collectibles. It is time to face the most feared enemy yet. Are you up for the challenge? 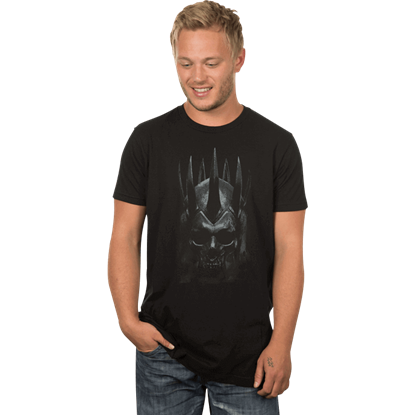 The Mens Premium Witcher 3 Into the Fire T-Shirt displays a detailed graphic inspired by the third installment of the Witcher video game series on the chest. While this Witcher graphic tee cannot actually detect magic, it will let those around you know that you are a true Witcher fan! 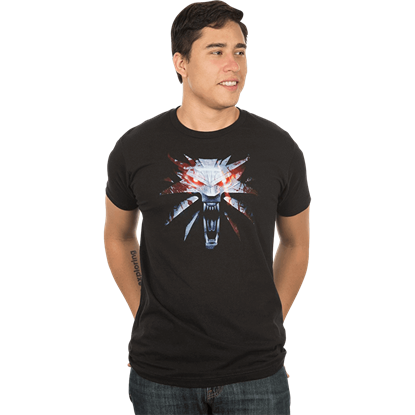 The Mens Premium Witcher 3 Medallion T-Shirt displays the wolf head design of the Witcher medallion. Return to the land of the Northern Kingdoms with Geralt of Riva, the protagonist of the third installation of the Witcher video game series. The Mens Premium Witcher 3 Monster Slayer T-Shirt displays a graphic inspired by the game. One of two main tools used by the witcher, the silver sword is used against magical beasts vulnerable to silver. 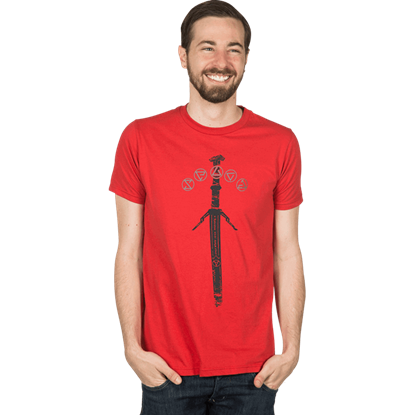 The Mens Premium Witcher 3 Silver Sword T-Shirt displays a graphic of this claymore-like sword and magic Sign runes. No enemy more terrifying, the King of the Wild Hunt leads his horde of specters across the sky as an omen of misfortune and death. 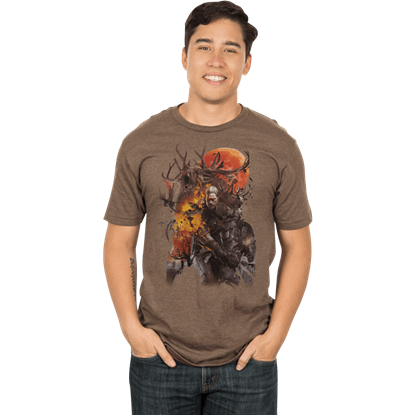 The Mens Premium Witcher 3 Wild Hunt T-Shirt displays the skeletal crowned helmet of this ghastly foe. 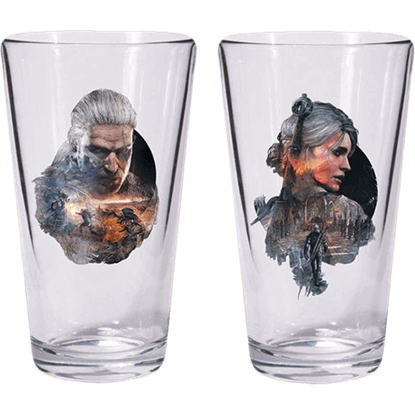 Attempt another play-through of your favorite video game while sipping on a refreshing beverage with the The Witcher 3 Geralt Ciri Pint Glass Set. Battle scenes and close-ups of the protagonists decorate the front of each glass. Enjoy a sip of a refreshing beverage while attempting another play-through of your favorite video game. 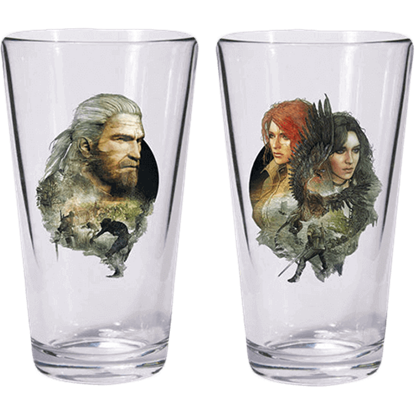 The Witcher 3 Geralt Triss Yennefer Pint Glass Set displays highly detailed close-ups of the protagonist and his love interests. 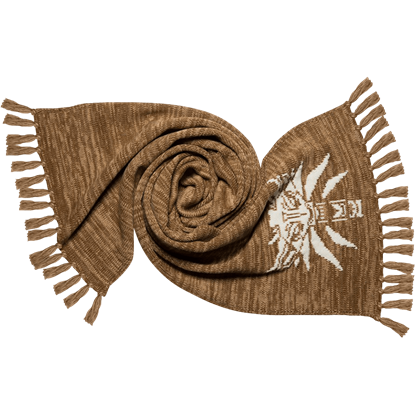 When packing for your next monster hunting excursion, be sure to include The Witcher 3 Knit Scarf. Knitted from soft acrylic yarn in a woodsy marled brown color, one end is accentuated with a knitted in white wolf medallion motif. 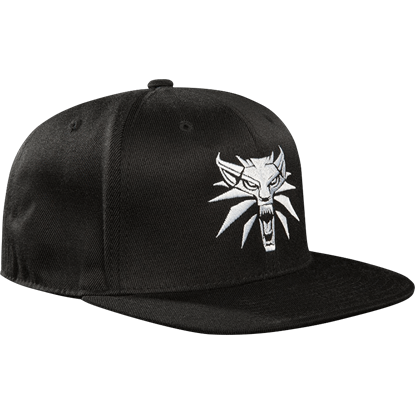 Identify yourself as a pupil of Kaer Morhen by wearing this The Witcher 3 Medallion Snapback Hat. Inspired by the Witcher Saga by Andrzej Sapkowski, the video game series follows the adventures of Geralt, supernatural monster hunter. 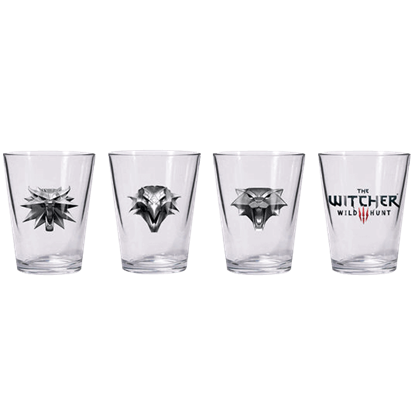 The three schools represented by the Witcher 3 The Wild Hunt Shot Glass Set earned fame by creating highly skilled monster slayers. Start a debate among your fellow gamers as to which school is best, while enjoying a beverage. Monster hunter, Geralt of Rivia maintains a steady gaze while holding his cards. His eyes do not waver as he plays his hand. This scene is captured forever in amazing detail with The Witcher 3 Wild Hunt Geralt Playing Gwent Bust.